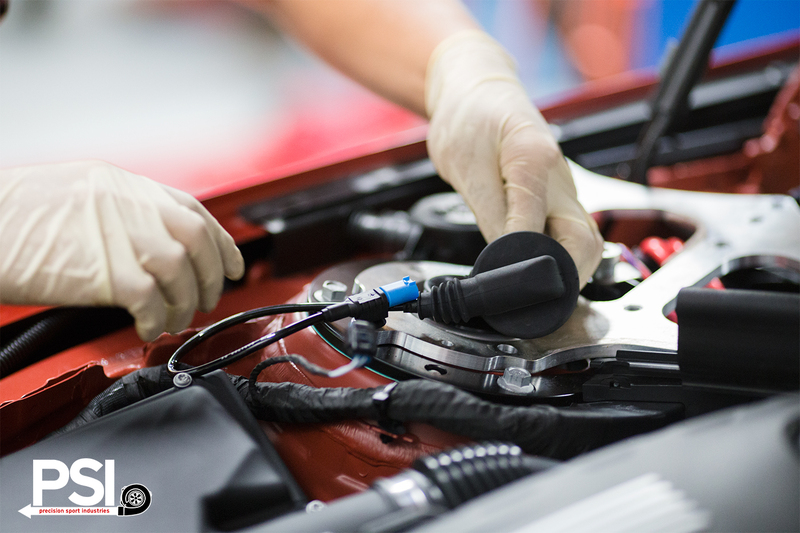 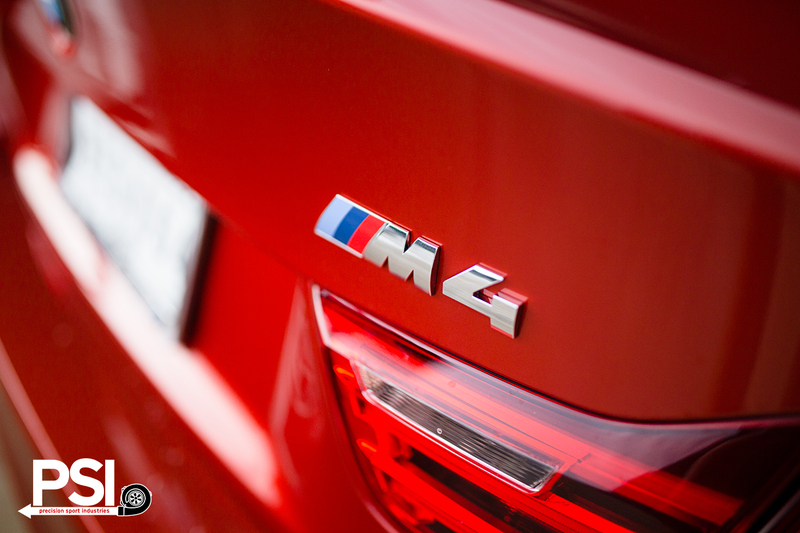 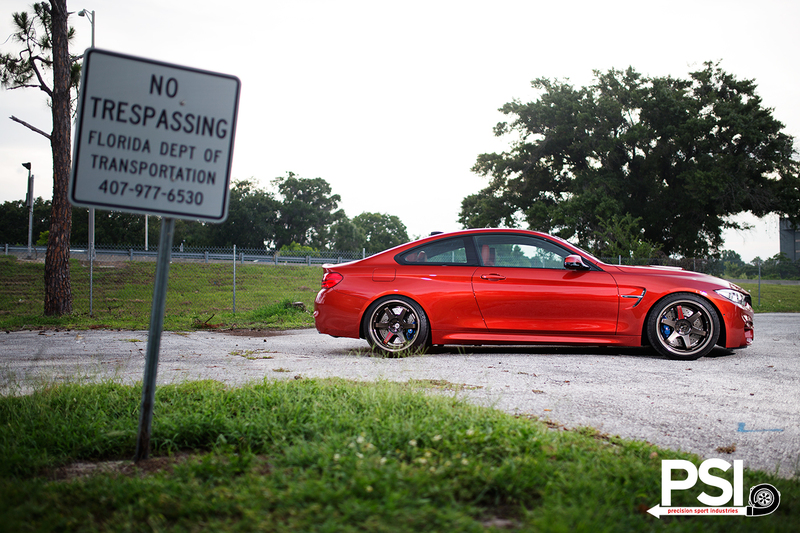 We are certainly no stranger to BMW M cars, having become intimately familiar with every generation of the mighty M3. 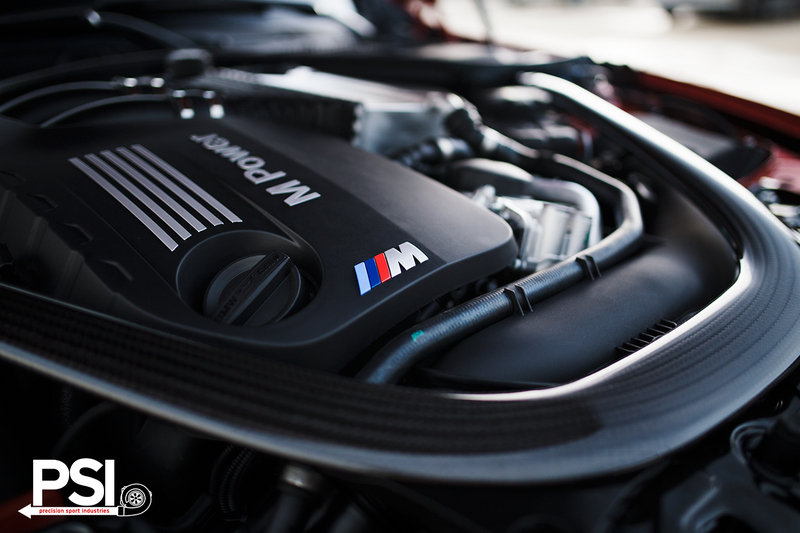 At the moment, we have every generation of M3 on hand, from the competition-bred E30 on through the fire-breathing E92. 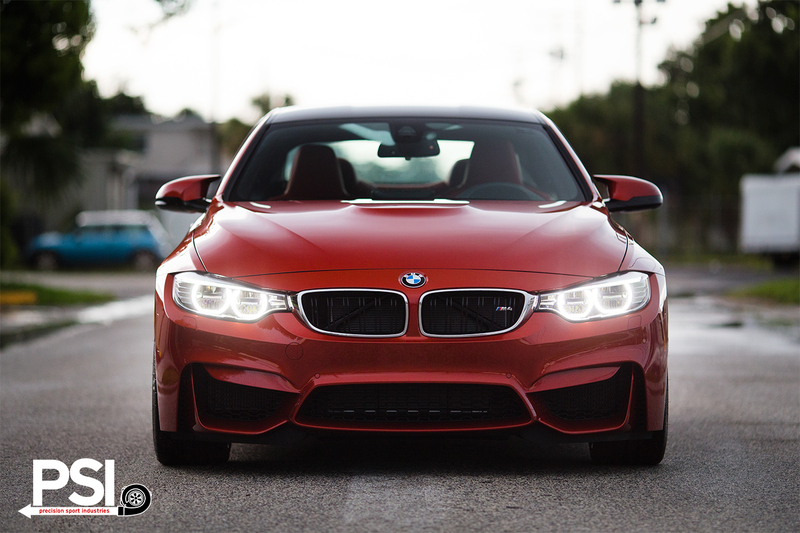 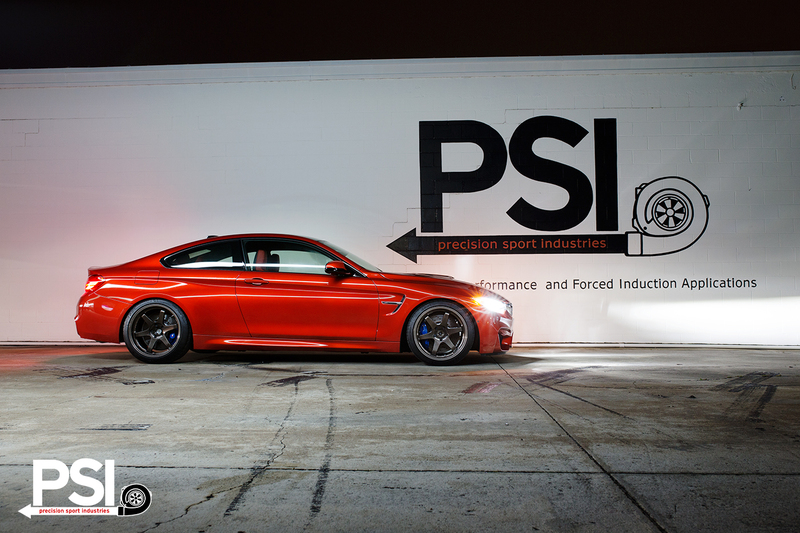 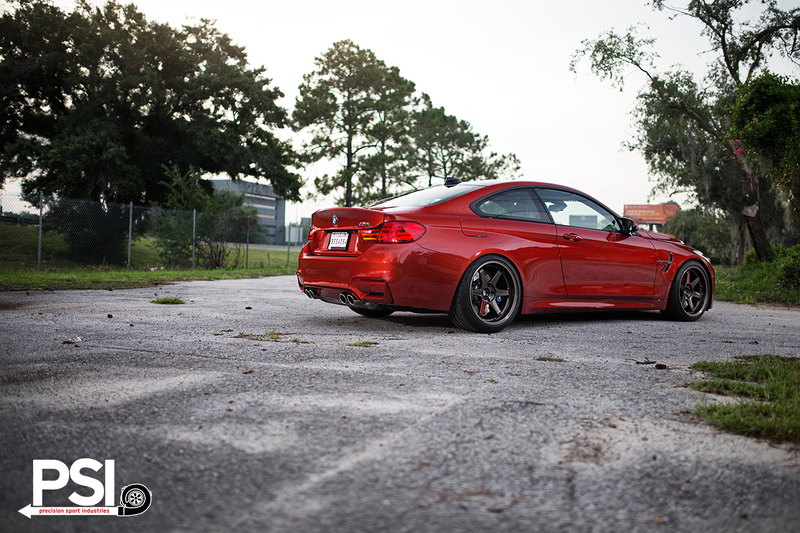 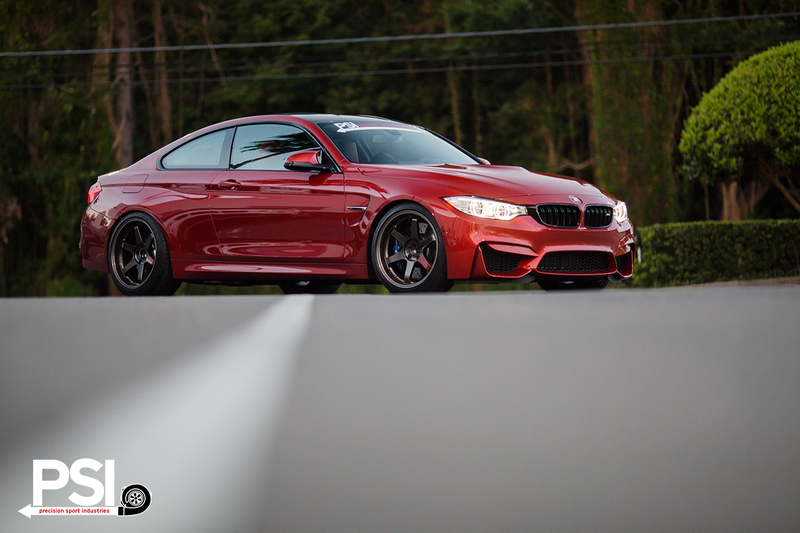 Viewed in this light, the next logical progression is that of the new F80 M3 and F82 M4. 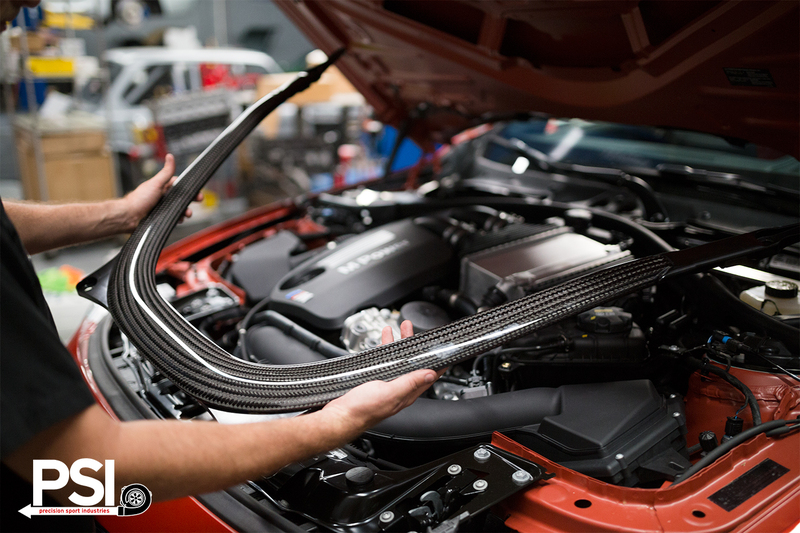 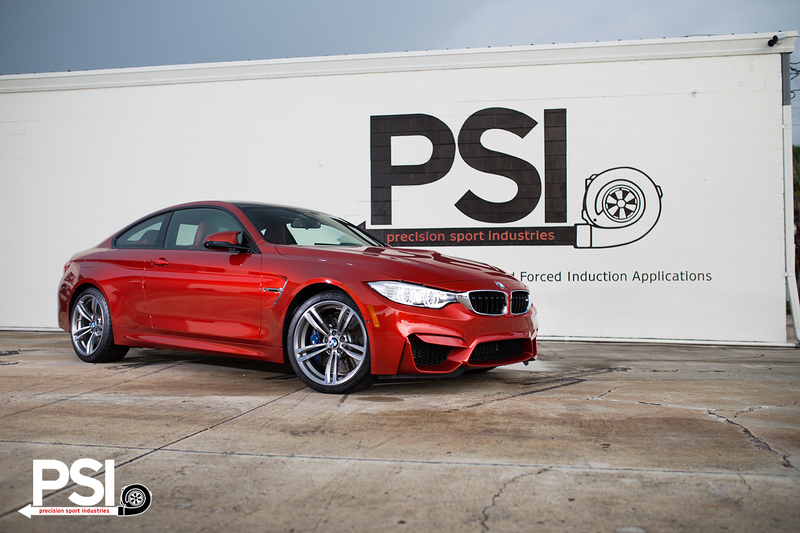 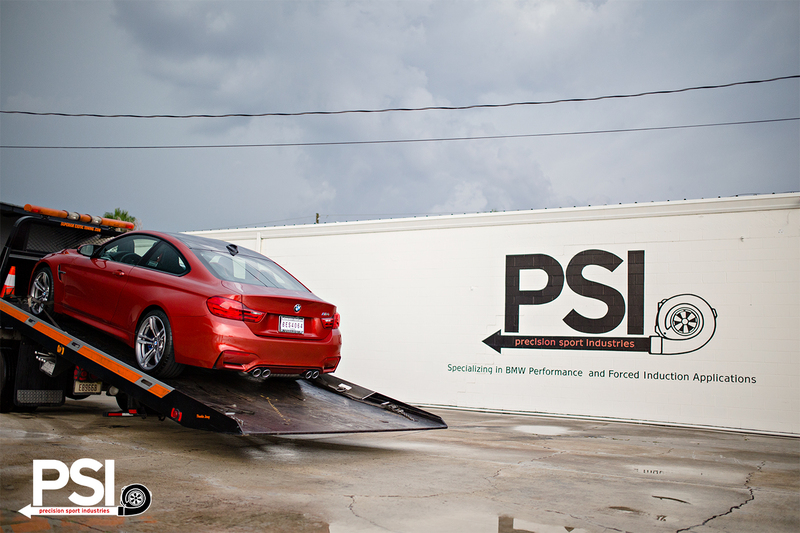 So take a journey with us as we explore every detail and unlock the potential of the scorching new BMW M3/M4 platform. 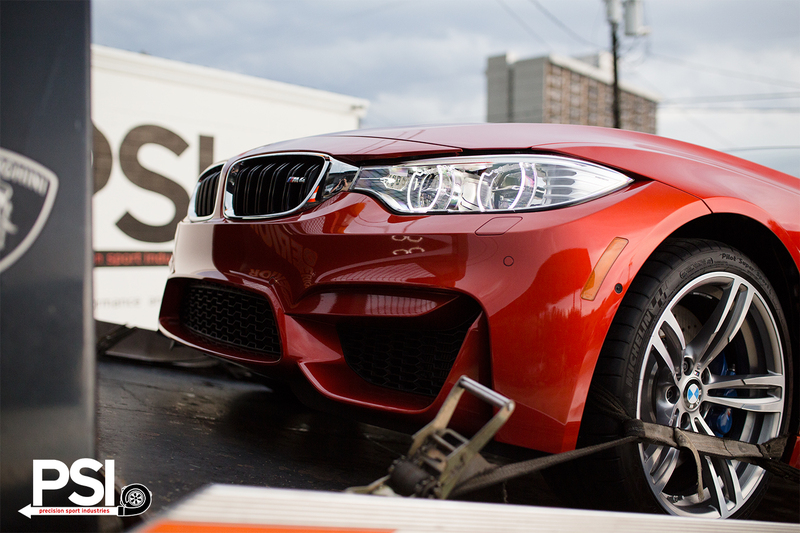 We promise to bring you a complete photo documentation of every step we take with the Sakhir Inferno. 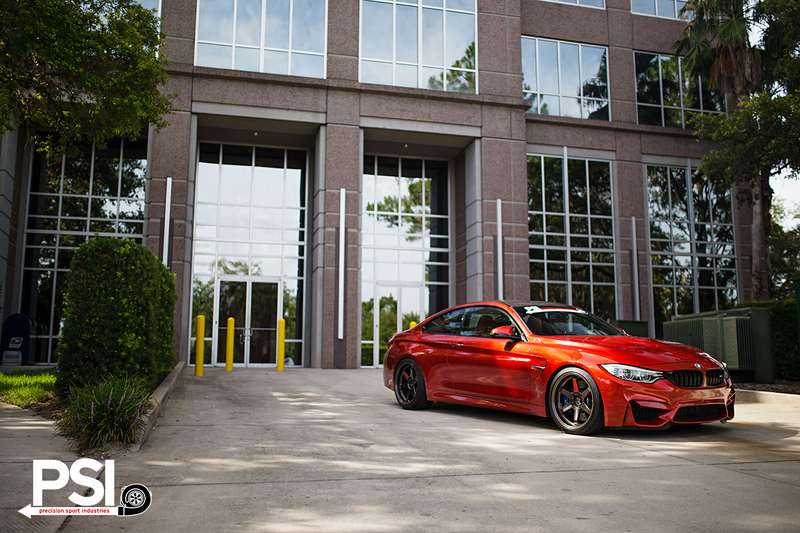 Our M4 arrived with 11 miles on the clock, straight from the dealership as the sun began to set. 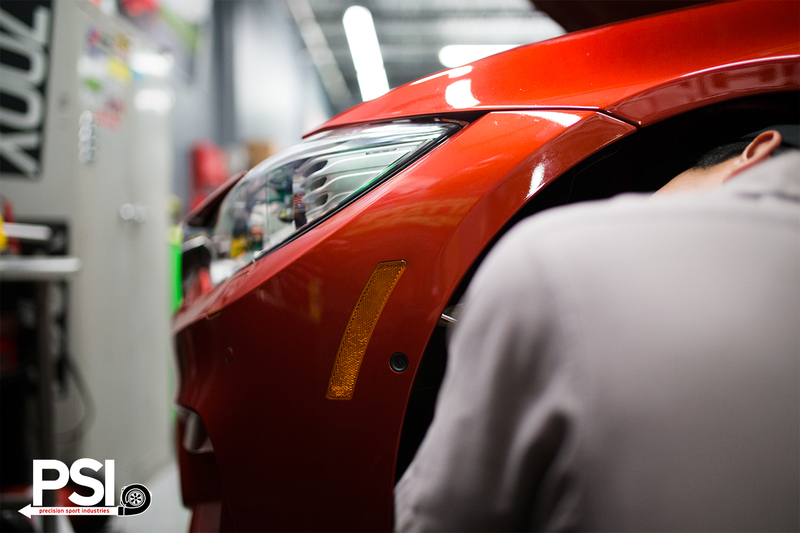 Most of the night was spent methodically capturing every aspect with our photographer, and fitting the first of many modifications to come. 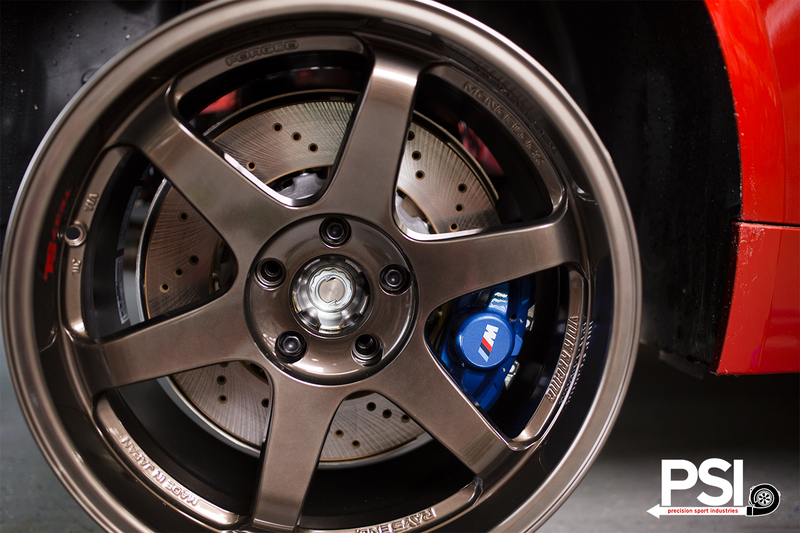 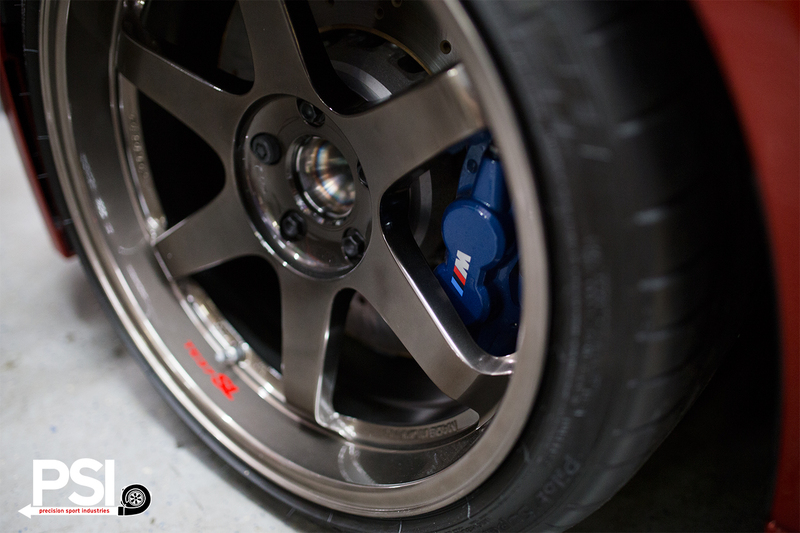 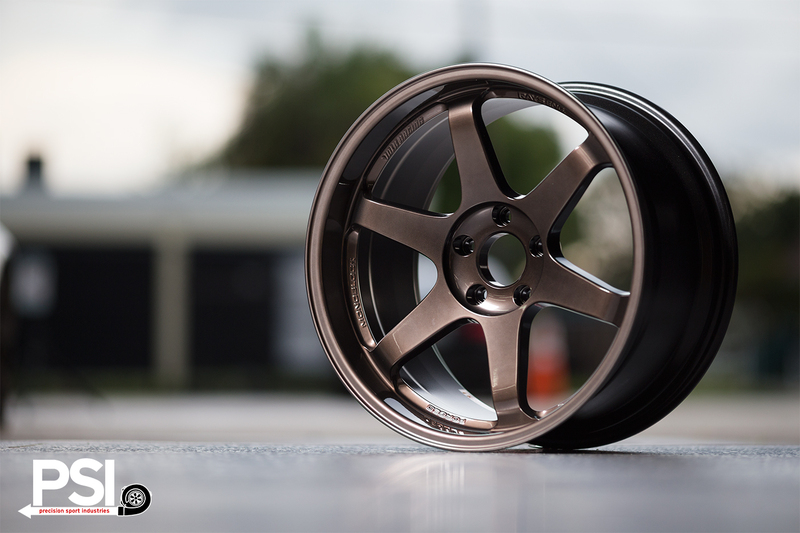 Wheel measurements were recorded, and a beautiful set of 19″ Hyper Bronze Volk Racing TE37 SL wheels were fitted in place of the OEM 19s along with H&R Super Sport springs. 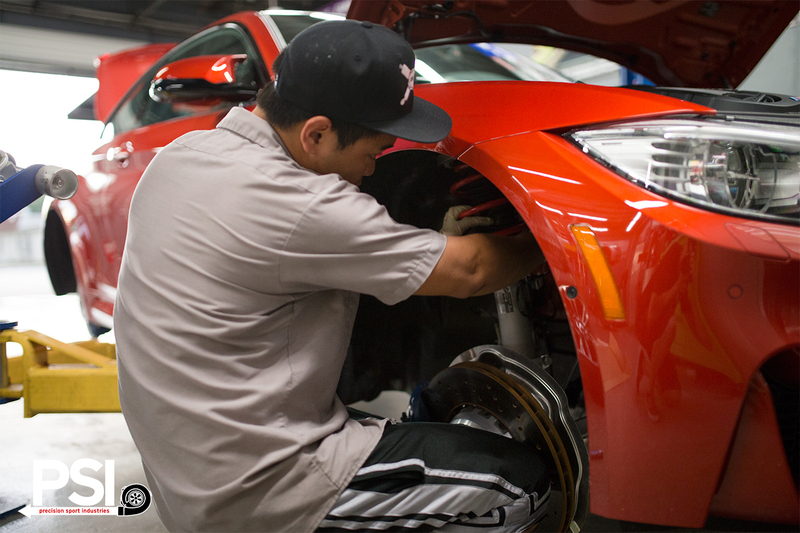 Once the front wheels were off, we installed the iND painted reflectors. 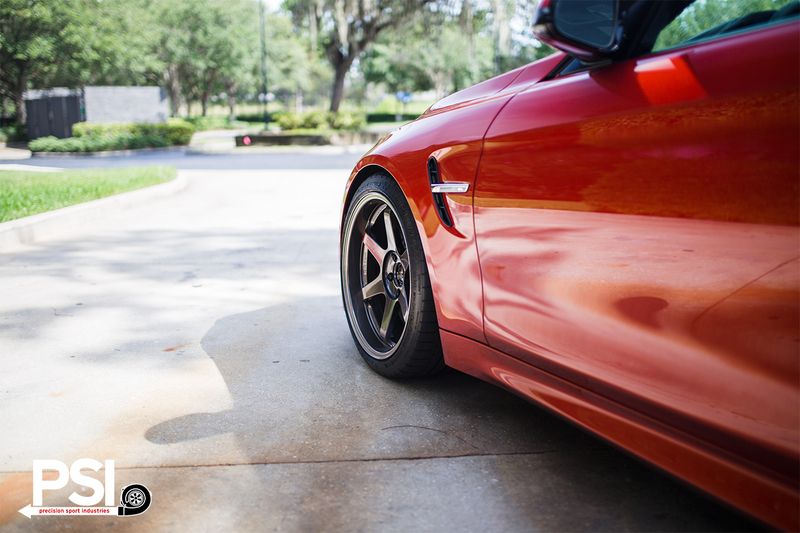 After the reflectors were in, it was time for new wheels and a test drive. 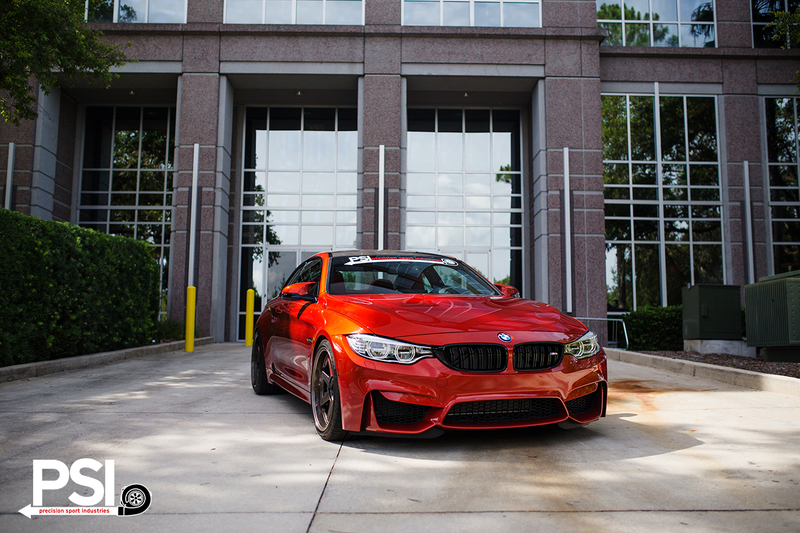 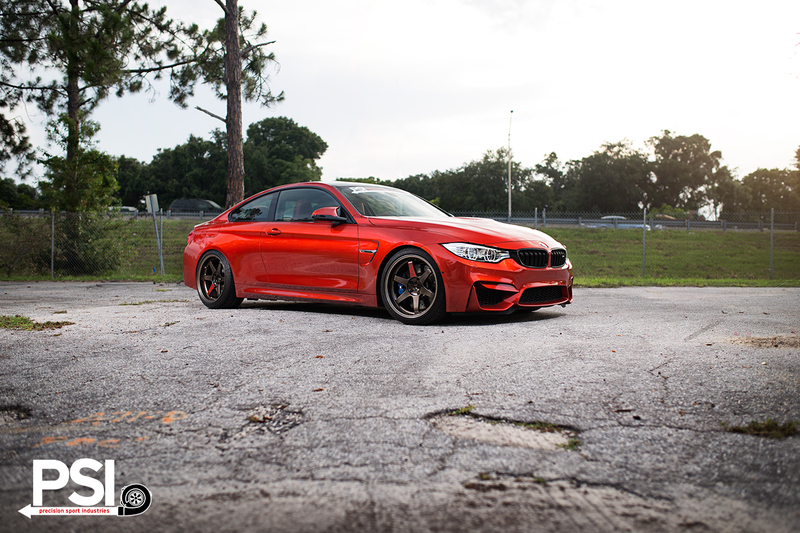 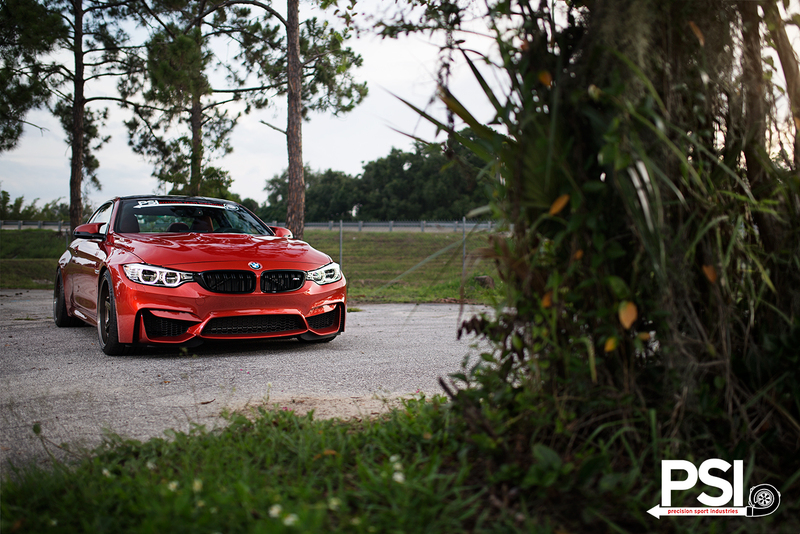 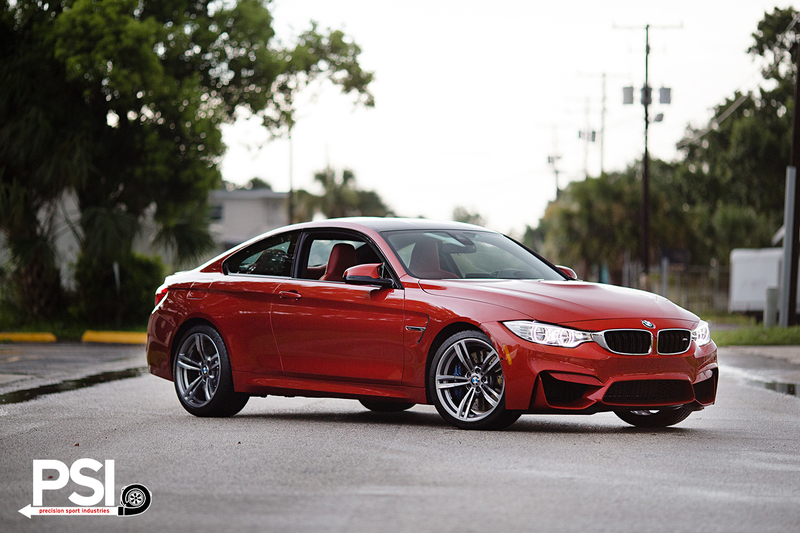 The next morning we installed the F32 BMW Performance Grille surrounds along with the TE37 SL spoke decals, and then headed out for a quick photo shoot.